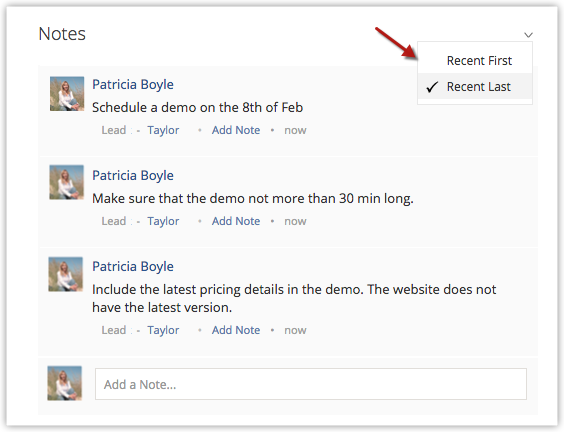 The Notes feature across all modules in Zoho CRM has been enhanced to be made more user-friendly. The enhancements are as listed below. 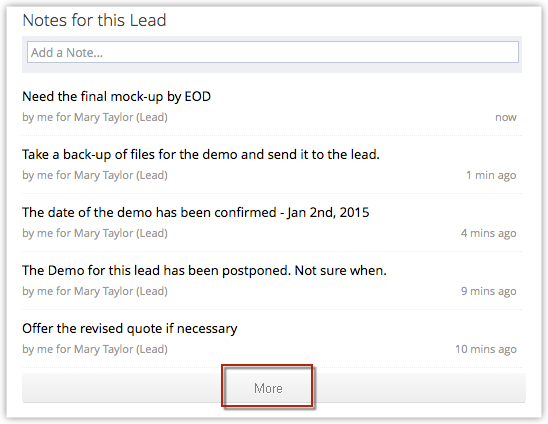 An option to sort notes has been provided in the latest version of Notes. You can now choose between "Recent First" and "Recent Last". The old version of Notes was quite plain. Now in the new version, Notes will appear with the display picture of the user who posted them. This way, you can effortlessly find out who posted the notes. 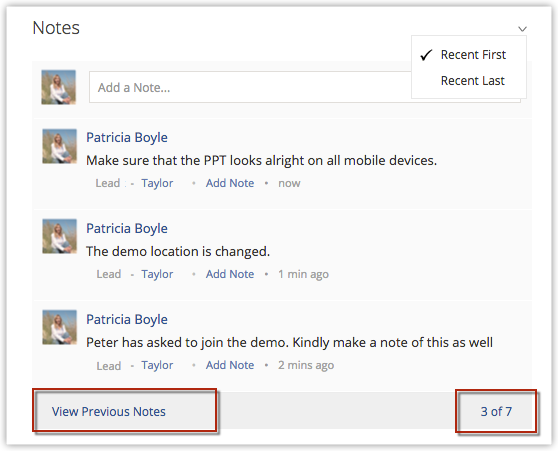 The new version of Notes has an additional option to upload attachments with each note. You can attach up to 5 files in a note and the total size of the files should not exceed 20 MB. As the number of notes for a particular record went up, the old version of Notes displayed a More tab. When you clicked the tab, the older notes appeared. But you had no idea how many notes there were in total. You had to keep clicking the More tab till the oldest note was displayed. Things have been made much easier in the new version of Notes. When the number of notes crosses 3, you will have the link "View Previous Notes" that will display the older notes. On the right, the notes count is displayed - For instance, "3 of 7". This way you are informed of the total number of notes for the record. The View Previous Notes and the Notes count appear either on the top of the notes or the bottom, depending on the order you have sorted them. The details offered in the old version of Notes were quite vague. In the new version, the details of the Notes are stated more clearly -who posted the note for which module and record, thus offering no room for confusion.